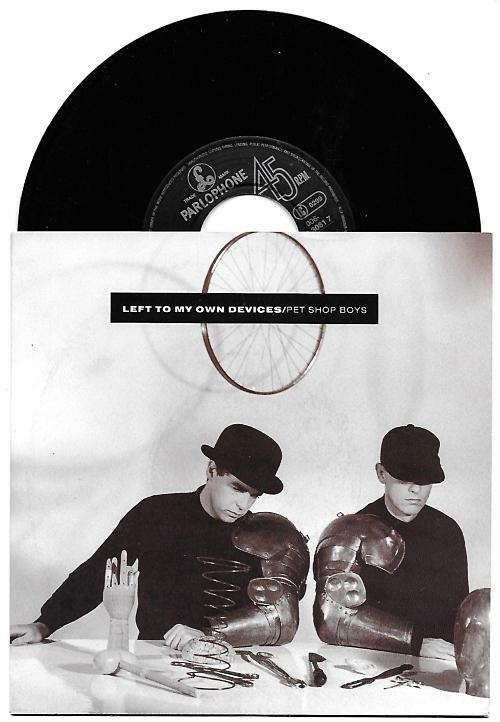 Released as the second single from Lowe and Tennant's third studio album Introspective, "Left To My Own Devices" entered the UK singles chart at No.7 in November 20th 1988, making it the highest new entry that week. The single reached a peak position of No.4 the following week, before slipping back to No.11. 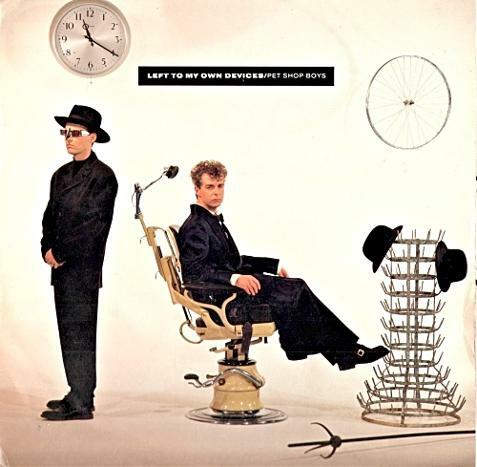 This was the first Pet Shop Boys single to feature an orchestral arrangement, which was arranged by Richard Niles. 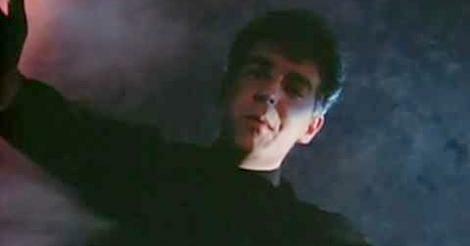 The lyrics were penned by vocalist Neil Tennant, and the full album version lasts for 8 minutes and 16 seconds. 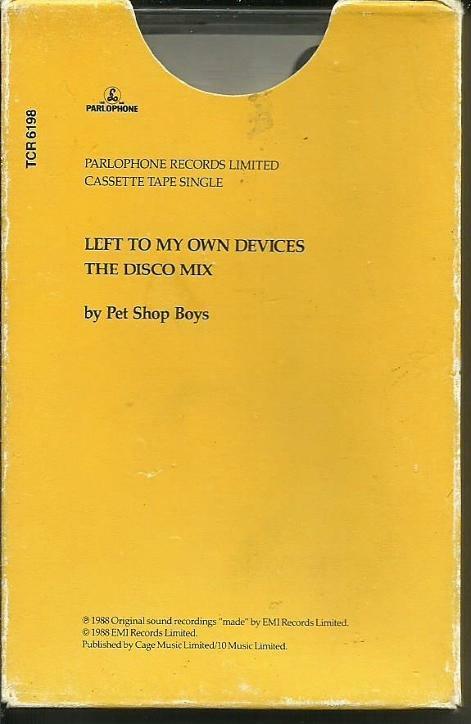 However, a longer version was included on side A of the 12" vinyl single - the Disco Mix lasts for 11:28. Side B included the single edit and also "The Sound of the Atom Splitting". These three tracks were also included on the CD single, which I still have in my collection somewhere, complete with its mustard-coloured second sleeve. The 7" vinyl featured an extended version of "The Sound of the Atom Splitting" on its B-side. The single was produced by the legendary Trevor Horn, Stephen Lipson and Pet Shop Boys. It reached the top 10 in numerous other countries, reaching No.3 in Ireland, No.5 in Spain, No.8 in Finland and No.9 in Germany and Poland. The verses of the song were rapped by Tennant, although in his own, unique style, of course, and they always intrigued me. Until very recently, I always thought the he was rapping "and in a secret life I was a randy general", whereas, in fact, it was a "roundhead general"! The video was directed by Eric Watson, who also directed the video for the second single from Introspective, "Domino Dancing", "Opportunties (Let's Make Lots of Money)", "Suburbia", "What Have I Done to Deserve This", and "DJ Culture". It was filmed underneath a glass floor, with the camera pointing upwards towards Neil and Chris, who are both dressed in black. Neil stands in one position for much of the video, while Chris is performing various dance moves next to him. A male trapeze artist also features. The lead single from Introspective was a cover of the Elvis classic "Always On My Mind", which became Christmas No.1 in 1987. The fourth and final single, "It's Alright" reached No.5 in the UK.